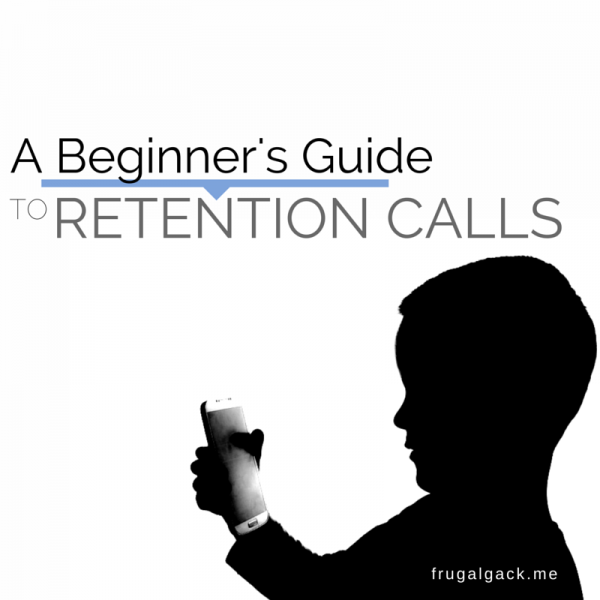 Retention calls are a must when you have a large amount of credit cards. They can help you avoid costly fees, increase your point balance, and/or give you the opportunity to buy points at a very affordable rate. You may be thinking, “That sounds great, but what are retention calls?” Well, they’re basically exactly what they sound like. They’re calls to your credit card issuer(s) for an incentive to retain you as a customer. Why would they offer you a bonus to keep your card open, when they already gave you a sign-up bonus? Simple, it costs banks a lot more money to attract a new customer than it does to keep one, so they’re usually very eager to give you points or statement credits to keep you. You should never* let an annual fee hit without giving the bank a retention call. If you’ve never made on before, don’t worry. Hit the break to learn how. *Unless you have to like with the Ink Bold. Update: Coincidentally, right after I prepared this post, Doctor of Credit came out with a great post about retention bonus offers. I suggest giving that a read as well. Obviously, the first step to prepare for a retention call is to open a card with an annual fee, regardless of whether or not it’s waived the first year. If your card doesn’t have an annual fee, there’s no reason to make a retention call. Once you open a card (or a plethora of cards), mark your calendar for 11 months out. Why 11 months? Because, that way you get good use out of your card, it doesn’t look like you just opened the card for the sign-up bonus, and it’s right before the annual fee hits. My family’s App-O-Ramas usually consist of 6-8 cards, so I’m almost always guaranteed to make 6-8 retention calls every time, sometimes to the same bank. Side Note: If you don’t set a reminder, I promise you’ll forget about the annual fee! Remember, organization is key to the game of manufactured spending. The final preparation you need to make is to use your card for more than just the sign-up bonus. I don’t mean that you should use it for everything, but a few dollars here, a few dollars there, will definitely help you’re chances at a retention offer. After all, you have the card for 11 months. Once you’re reminder goes off, it’s time to start planning the call. Don’t worry about calling at exactly the 11 month mark, a few weeks before or a few days after won’t hurt. I usually plan all my calls for a weekend, that way I have a bit more free time to spend on the phone. First, do your research. Check if other people received retention offers for the card you’re calling about. Just because other people received or didn’t receive a retention offer, doesn’t mean you’ll have the same experience. Use the links below as an idea of what’s possible, nothing more. For example, based on the information below, Sapphire Preferred representatives are almost guaranteed to offer you nothing. On the other hand, Citi AA Platinum reps will usually always offer a statement credit. Finally, grab your card(s) and get ready for a quick 10-15 minute call. This is the moment you’ve all been waiting for! Are you ready for this? Making the call is probably the easiest part of this process. All you need to do is call the number on the back of your card(s) and regurgitate your retention request. Depending on the bank, you may need to be transferred to a retention specialist instead of the rep on the front line. What if you’re spouse, mother, father, friend, ect. doesn’t want to make a retention call? Call for them. All you need to do is have the person who owns the account verify their identity on the phone and let the representative know that you can speak on their behalf. There are two possible outcomes from a retention call: They’ll give you an offer or they won’t give you an offer. If they give you an offer you can accept it or ask for another one. I always suggest asking for another one until they have no more offers to give, just to weigh all the options. If one of the offers sounds good, take it. If none of the offers sound good, tell them that you’ll think about it and call back at a later time (see below). What Makes an Offer Worth Taking? That’s up to you. Obviously, if there’s an offer for a full statement credit and that’s it, I would take it. If there was an offer for half the statement credit, it would depend on the card if I would take it or not. If there was an option for a $95 statement credit or 10,000 points, I would take the points, because that would be like buying each point at 0.95 cents each. Again, it’s totally up to you, but make sure it’s worth it before taking it. If they don’t give you an offer (or an offer you like), ask them when you’re annual fee is due and let them know that you’ll think about your options and call back before the annual fee is due. That way you get off the phone without letting them know you’re doing a HUCA (Hang Up and Call Again) for a better offer. Now, repeat step 3 and hope that the next rep gives you a good offer. If they still don’t give you an offer or give you the same offers, then you might be out of luck. I’d still try at least one more time, because it can take 3-4 reps to give you an offer. If after 4 tries, you still don’t have an offer to take, you’re likely out of luck. Now, it’s time to think about whether you want to close, downgrade, or keep the card open. Get (non personal Amex) sign-up bonus again in 1-2 years. Get two of one product (e.g. Freedom). Get a cancelled product (e.g. Citi Dividend). Better chance at next year's retention call. Need to pay annual fee. For downgrading options, check out this post by Doctor of Credit.